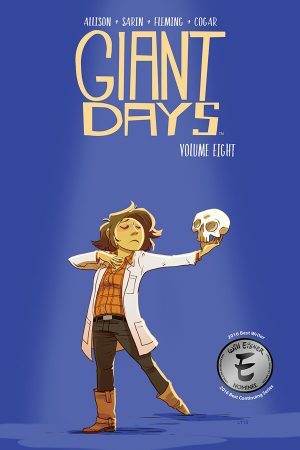 Take a look at our selection of recommended reading from this week’s new graphic novels, released Wednesday, 22 August 2018. 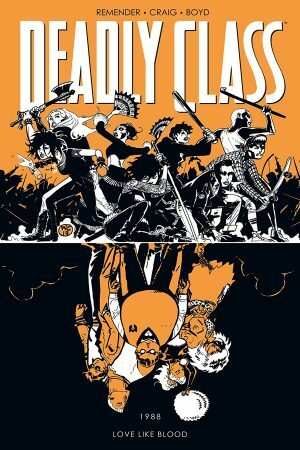 All (Graphic) Novel Ideas titles have 20% off until 28 August 2018. Legendary writer Peter David takes Earth’s Mightiest Heroes back to basics – beginning with a terrifying tale of Ragnarok! It could be the end for Thor, Iron Man, the Hulk and the rest of the team, courtesy of the sun-swallowing Fenris Wolf! Only the Avengers can stand in the way of a Norse prophecy of doom! Then, there’s double trouble when a Captain Marvel impostor rewrites reality – and our heroes fi nd themselves stuck in an alternate universe! Everything is turned upside down again when Kamala “Ms. Marvel” Khan is thrown into the past and becomes… an original Avenger! But the stakes turn personal when someone close to Kamala gets hurt. With the future (present?) in the balance, Ms. Marvel must face down one of the Avengers’ deadliest foes! 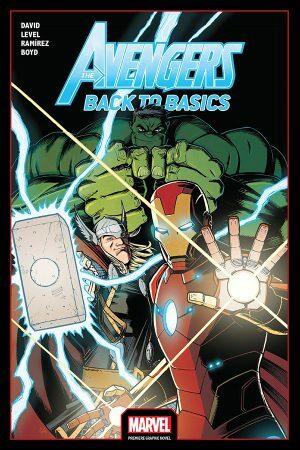 Collects Avengers: Back To Basics #1-6. The evil genius Dr. Eggman has been foiled — but the work of Sonic the Hedgehog isn’t over yet! In the aftermath of the latest epic battle, rogue robots continue to attack small villages around the world. 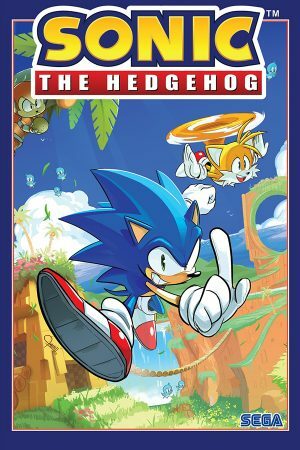 In order to succeed, Sonic will need the help of his friends Tails, Knuckles, and Amy, along with some new and surprising allies. This new collection from acclaimed writer Ian Flynn features the blue blur like you’ve never seen him before. Gotta go fast! Duke Thomas always wanted to be a hero. During the “Robin War,” he led an insurgency of teen Robins who insisted that their movement’s namesake didn’t really need a partner. 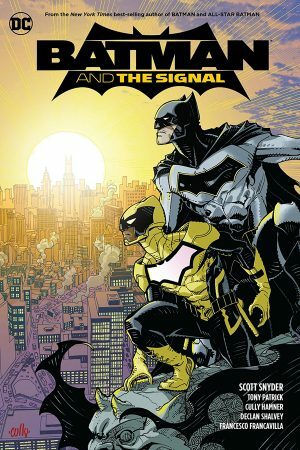 In the aftermath, Batman himself has taken Duke under his wing to train him — not to be a sidekick, but to be his own man. Someone has been giving deadly metahuman powers to teenagers living in the Narrows, Gotham’s poorest neighborhood — Duke’s neighborhood. Even stranger, these newly powered teens seem to have some sort of connection to both Duke and his own barely understood abilities. Marcus and Maria have resurfaced, and with them a whole ocean of bad blood crashes on the shores. Shabnam and the Student Council are out to put Marcus and Maria in the grave for good this time, Saya’s maniacal brother Kenji stokes the flames of hatred, and in the shadows of those flames looms Headmaster Lin, waiting to reward whoever is left standing with a place by his side — or a sharp knife in the back. It’s 1989 and the era is drawing to a close, but it’s going to take as many poor bastards with it into oblivion as it can. 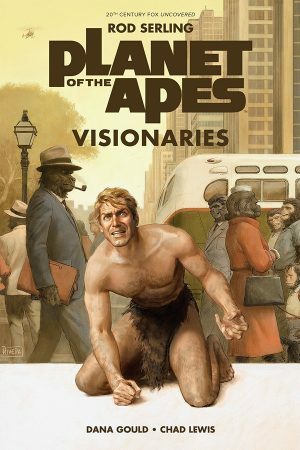 Experience the Planet of the Apes as it was first envisioned by Rod Serling. Based on the original script by Rod Serling and adapted by comedian and screenwriter Dana Gould (The Simpsons, Stan Against Evil), this graphic novel presents an alternate vision of the classic film. Taylor is Thomas, and Ape City isn’t a crude, primitive grouping of huts, it’s a bustling and urbane metropolis filled with cars and skyscrapers and a vibrant ape culture. Apes wear modern clothes and drive modern cars, they have talk shows and nightclubs and alcohol. How does a human fit into this world, and what will his presence mean to how Apes — and humans — view themselves. Based on the original, never-before-realized Rod Serling screenplay!